10X sugar is the second finest consistency of powdered sugar behind 14X, or superfine, sugar. The number preceding the X denotes the fineness of the grind. In other words, the higher the number, the finer the sugar powder. The finer the powdered sugar, the more cornstarch it contains in order to keep it from caking and clumping. 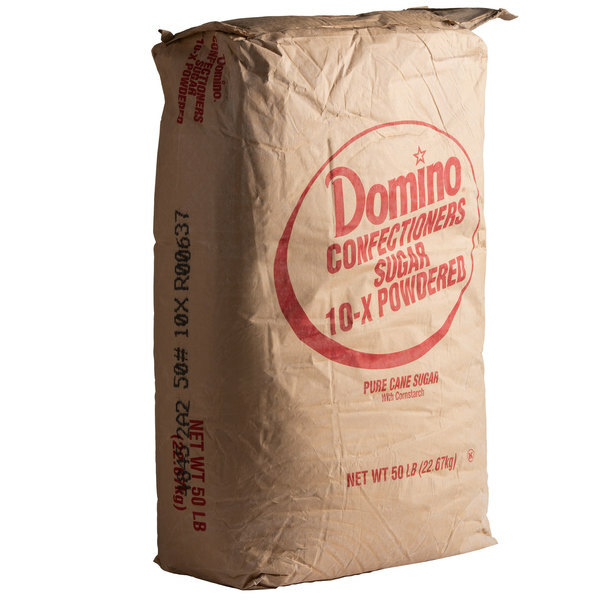 You'll find plenty of uses for this bulk supply of Domino 10X confectioners sugar! Made from granulated sugar ground to a smooth and soft powder, this sugar has a fine consistency. It's commonly used as an icing sugar or as a decorative topping. Blend it into frostings to top cakes and cupcakes, or use it as-is to dust on top of funnel cakes and cannolis. You can also use confectioners sugar to enhance the look of pancakes, waffles, donuts, and other breakfast favorites. Confectioners sugar to the 10X degree is a must-have ingredient in your restaurant or bakery. 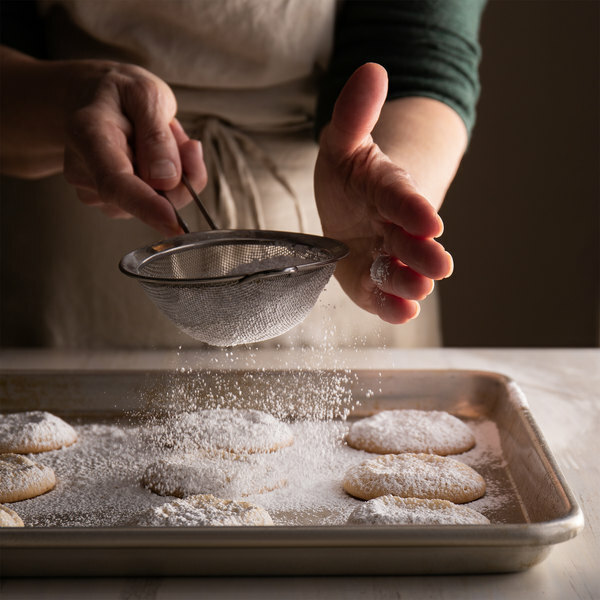 Not quite as fine as 14X, yet finer than sugar to the 6X degree, this bulk powdered sugar provides excellent versatility for your baking needs. It contains a small amount of cornstarch to help prevent clumping and caking. Whether you use it to make dessert sauces or whipped cream, this 10X sugar will entice every customer into ordering something deliciously sweet! Overall User Rating: Domino 10X Confectioners Sugar - 50 lb. This is an excellent choice for buying powdered sugar. Comes in a large bag and has a great taste. We use it daily to make our whipped cream. The 10x confectioners sugar is excellent bulk powdered sugar. The perfect style sugar for making our frostings and glazes for our apple turnovers. A very bulk bag of confectioners sugar that is excellent quality. It is smooth and makes some of the best birthday cake frostings ever. The sugar is so light and airy. We use a lot of confectioners sugar at our bakery, and we love these nice 50 pound bags. They store really well and make the best frosting.